The snowman needs a scarf! 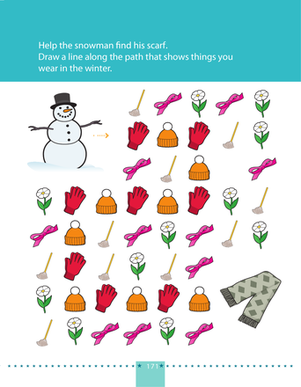 Kids draw a line along the path that shows winter gloves and hats to get to the scarf. Watch out! 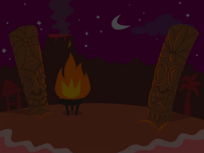 There are other objects in the maze, but only the winter clothes are the correct path to the scarf. 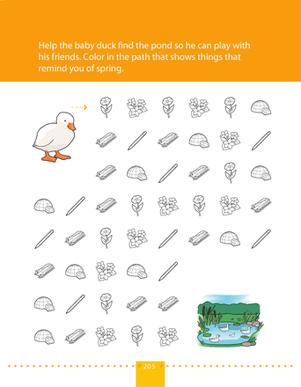 Kids completing this worksheet understand that changes in weather occur across seasons, practice recognizing simple patterns, and exercise thinking and fine motor skills. A duck wants to get to the pond! 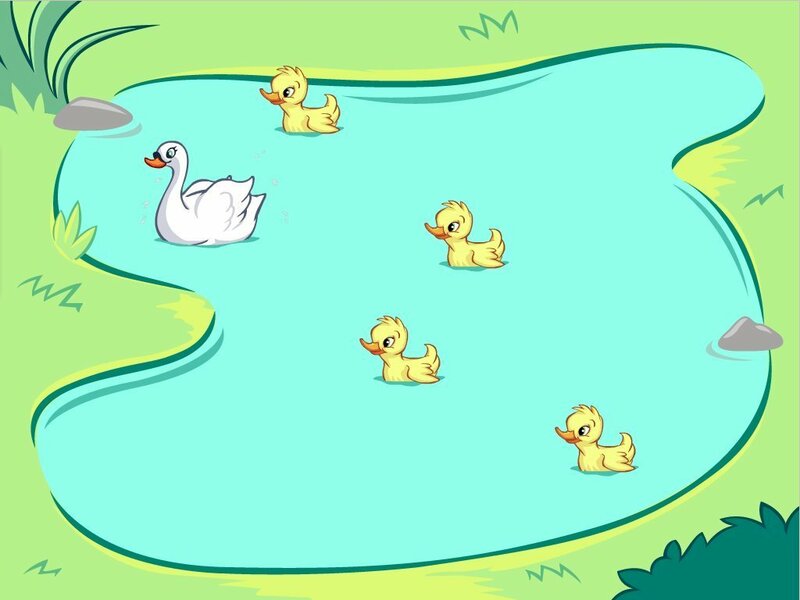 On this prekindergarten math and science worksheet, kids follow a pattern of spring things to help the duck get to the pond. 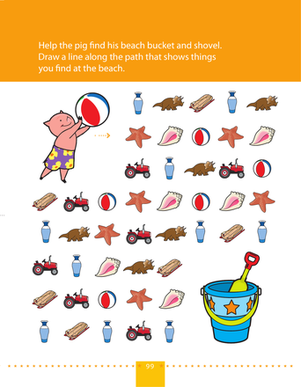 Challenge your preschooler to locate all the items that don't belong in the classroom. 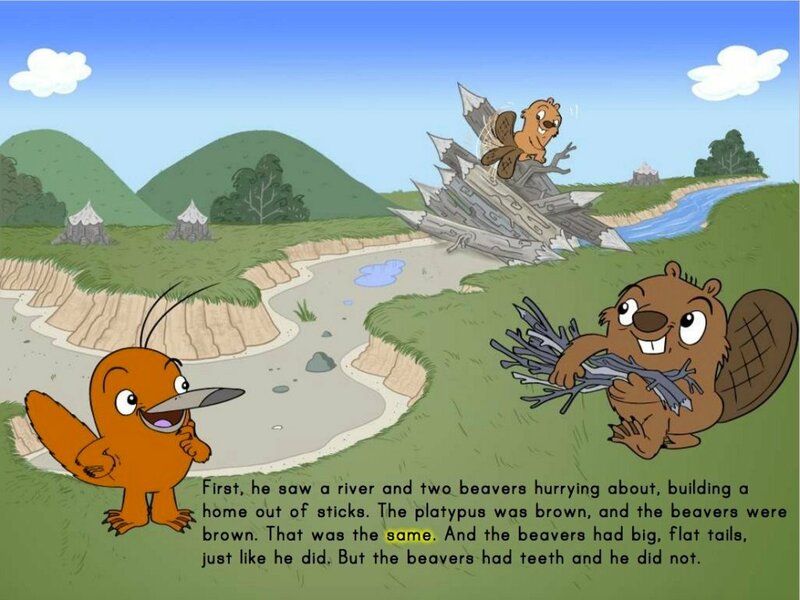 Lions and monkeys in the classroom? Not in this world. 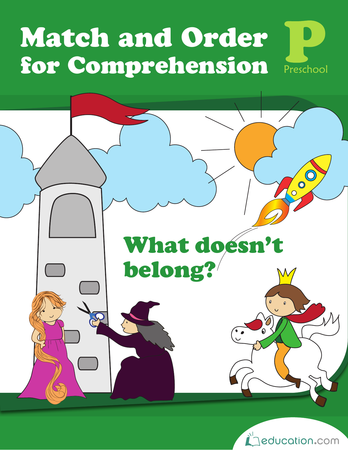 In this fun categorizing game, your preschooler decides what belongs in the library. Cut out the pictures and let him cover up the items that don't belong. 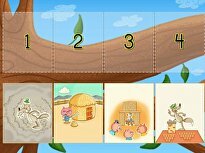 Have your kid take a shot at this categorizing worksheet, finding all the items that don't belong on the playground. This doubles as a fun coloring sheet. 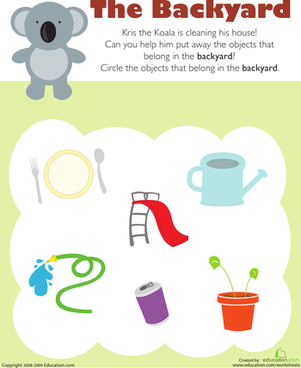 Kris the Koala is cleaning his house, and kids completing this preschool sorting and classifying worksheet help by circling objects that belong in the backyard. 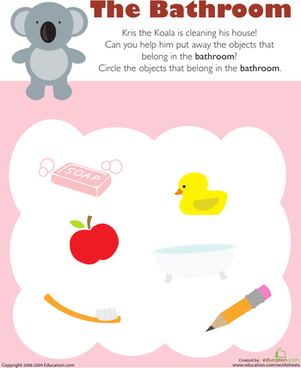 Kris the Koala is cleaning his house, and kids completing this preschool sorting and categorizing worksheet help by circling things that belong in the bathroom. What Belongs in the Bedroom? 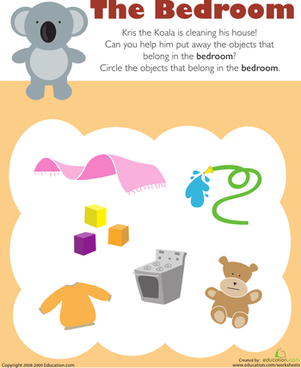 Kris the Koala is cleaning his house, and kids completing this preschool sorting and classifying worksheet help by circling objects that belong in the bedroom.